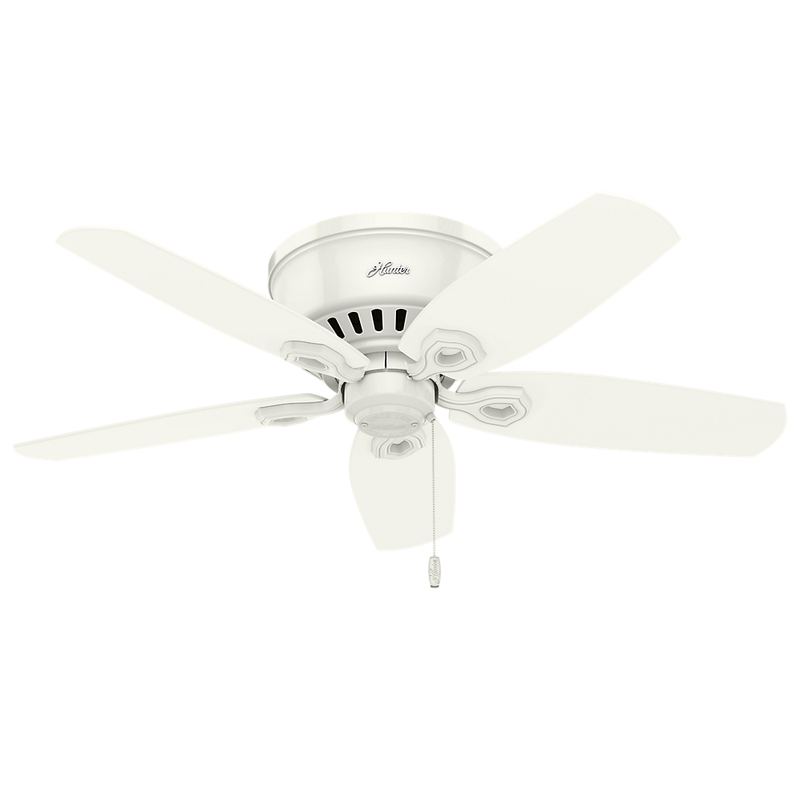 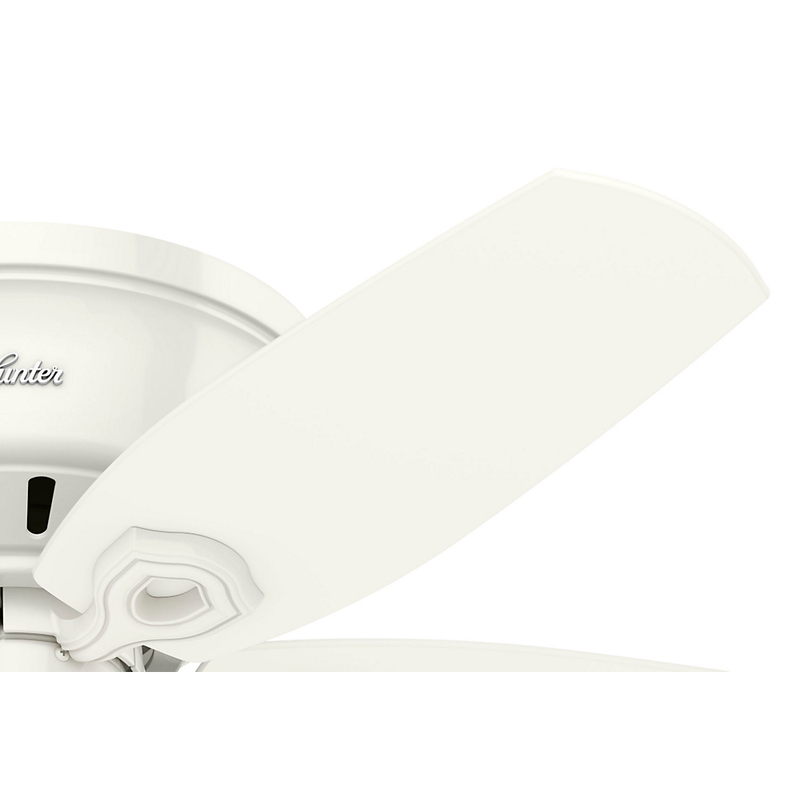 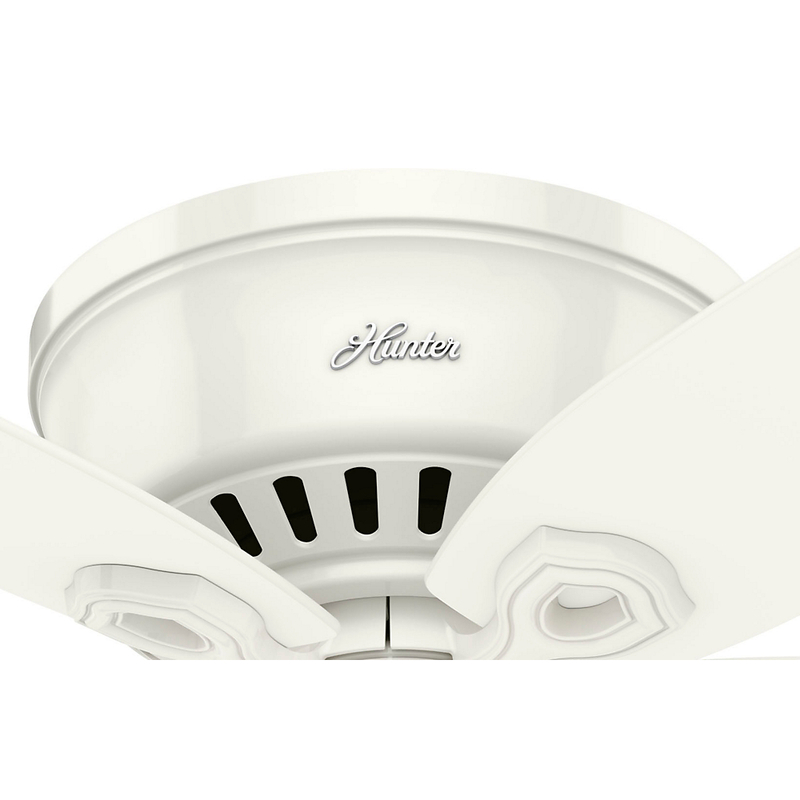 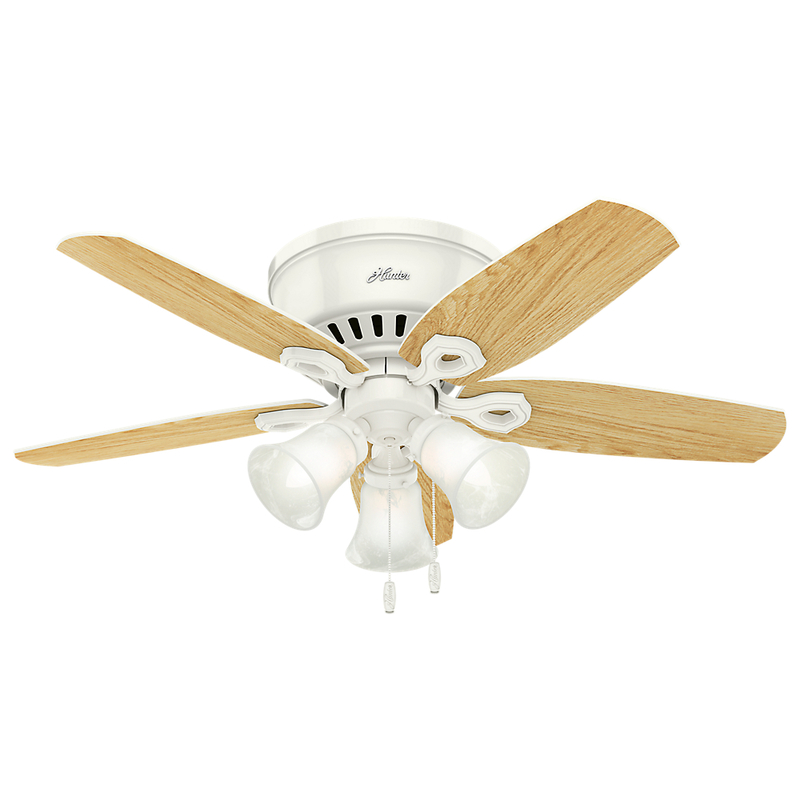 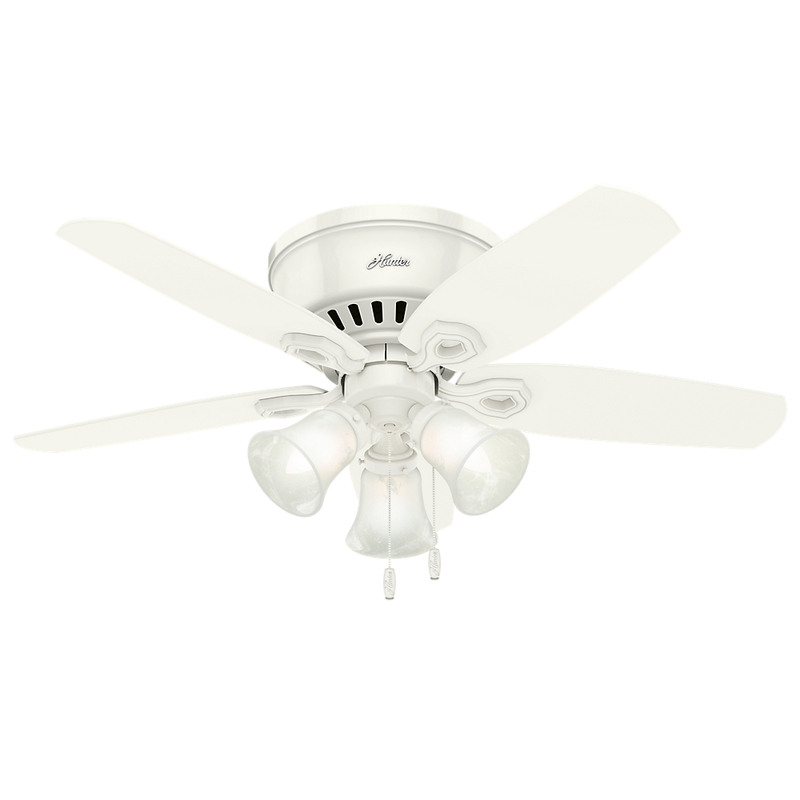 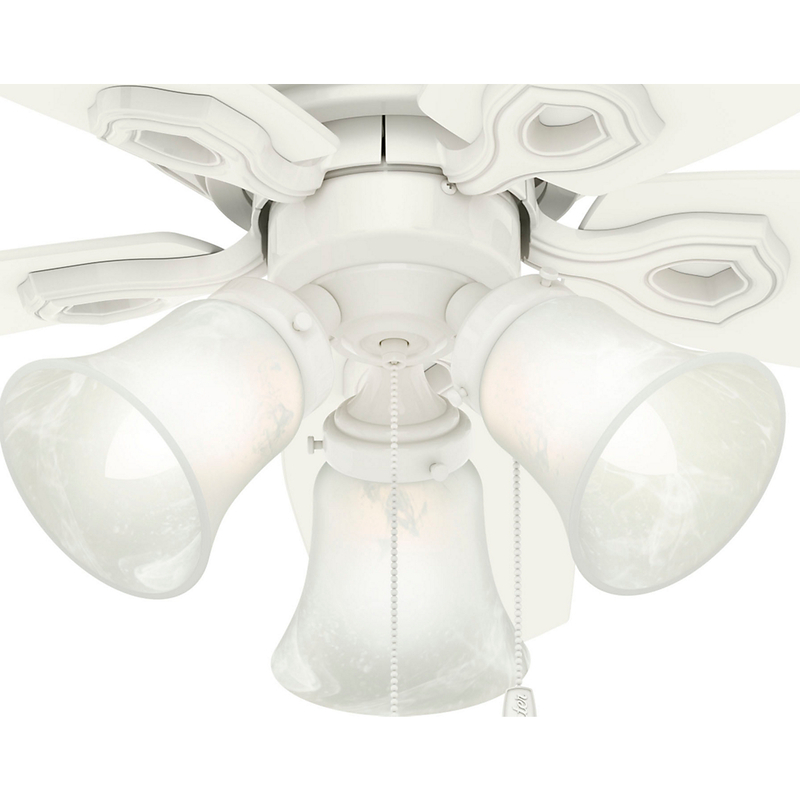 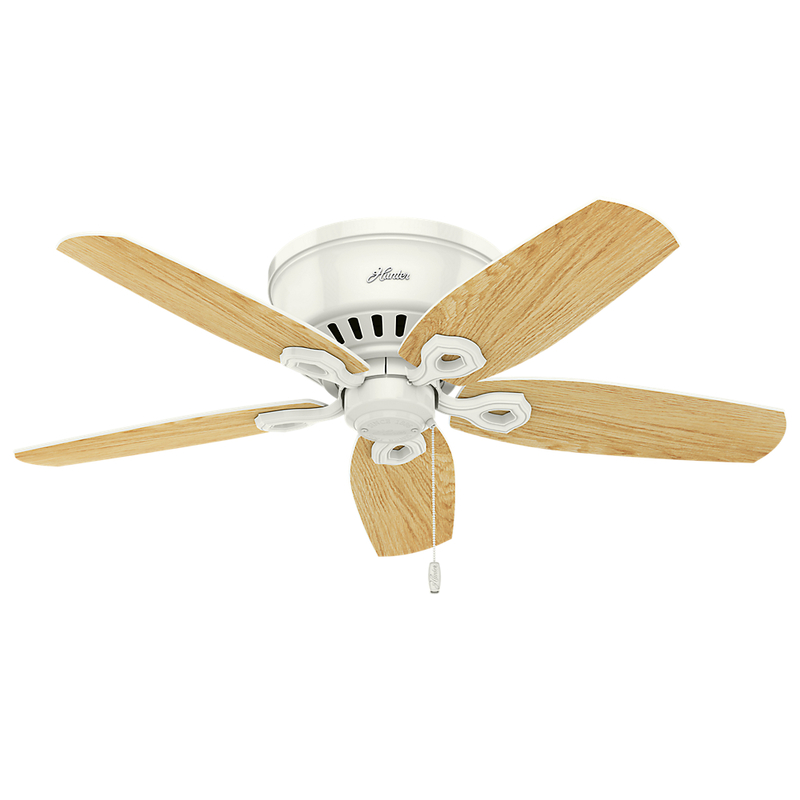 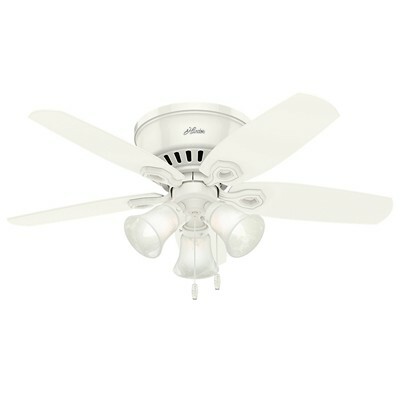 Casual and traditional, this 42" ceiling fan has a flush mount for rooms with low ceilings. 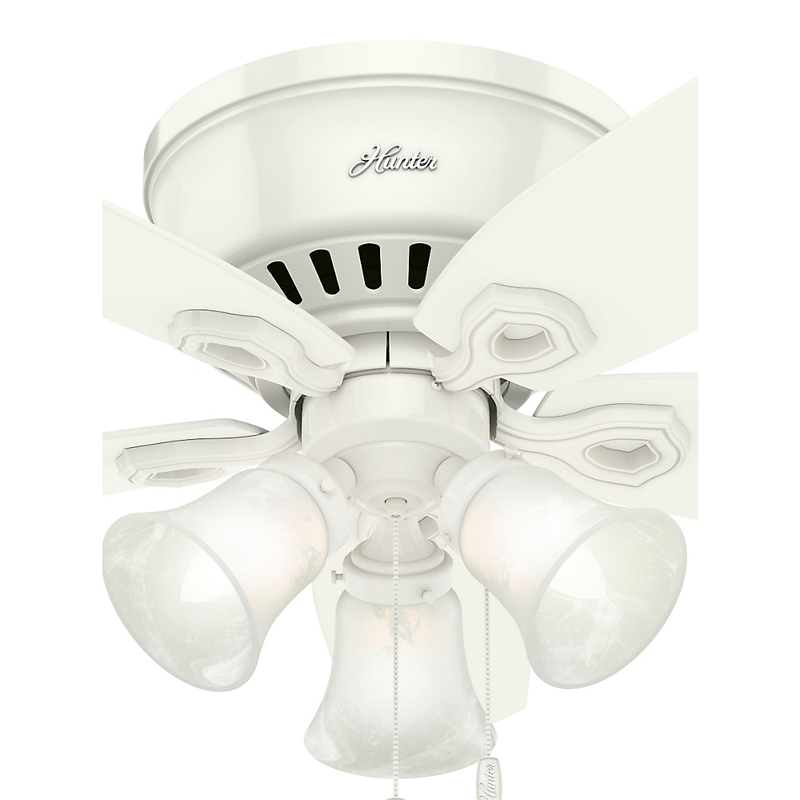 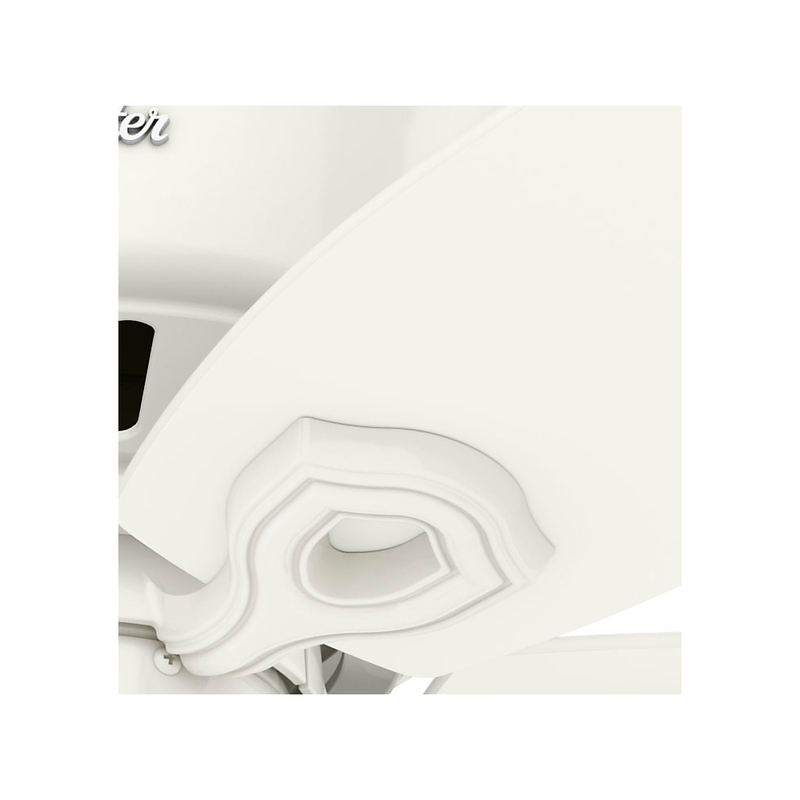 The optional light kit includes a three-light fitter with cased white glass globes and three 60W candelabra bulbs. 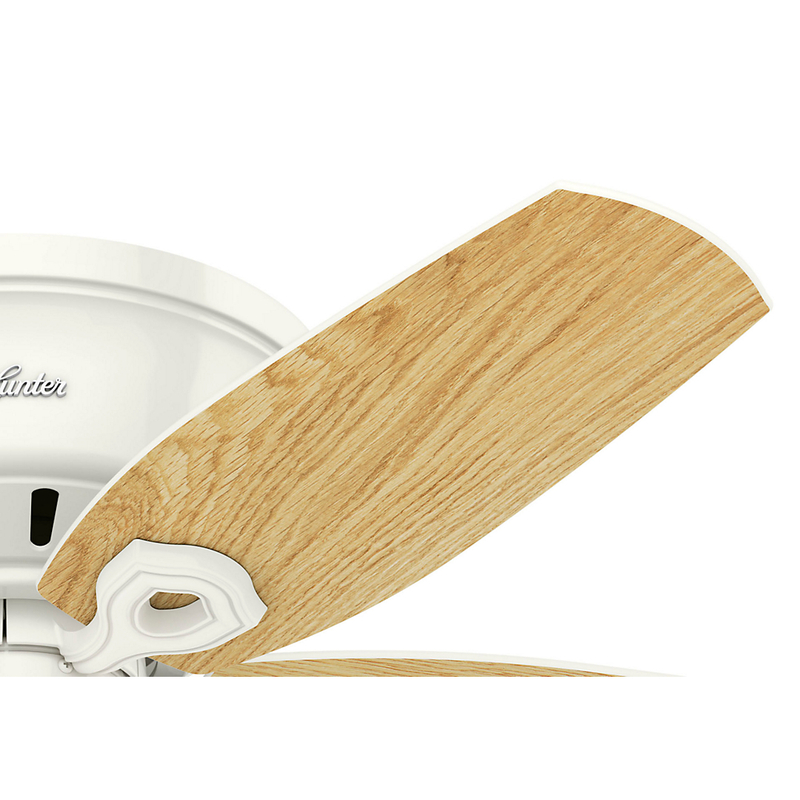 5 Snow White/ Light Oak Reversible Composite blades included.